Empathy is undergoing a new evolution. In a global and interconnected culture, we can no longer afford to identify only with people who seem to be a part of our "tribe." 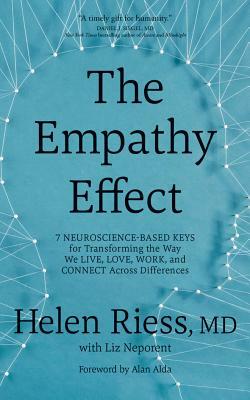 As Dr. Helen Riess has learned, our capacity for empathy is not just an innate trait--it is also a skill that we can learn and expand. With The Empathy Effect, Dr. Riess presents a definitive resource on empathy: the science behind how it works, new research on how empathy develops from birth to adulthood, and tools for building your capacity to create authentic emotional connection with others in any situation.